I was prompted to write this blog entry in response to Evan’s account of the Campaign for Nuclear Disarmament and the Communist Party of Great Britain. Roger Seifert and Tom Sibley have suggested that before the establishment of the CND in 1958, British disarmament movements were limited to the Soviet front organisation, the World Peace Council and several Quaker groups. However, nuclear disarmament was a more popular position than Seifert and Sibley allow. Whilst there was no unified protest movement, there were many disparate voices, at numerous levels of society, who wanted either a unilateral disarmament policy or worldwide agreements for the reduction of arms. Early disarmers were generally centre left groups affiliated to the Labour Party, as well as scientists and various intellectuals (many of whom would eventually form the CND). The CND was post-war Britain’s first truly mass movement and this point should be considered when examining anxieties around the emergence of nuclear arms. The movement was unprecedented. Nevertheless, opposition to nuclear arms and anxieties emerging from coverage of the bomb, were clearly visible in Britain. Adrian Bingham’s recent article on the British Press and Nuclear arms has challenged previous assumptions that newspapers were reliant on official sources and generally supportive of nuclear weapons (Bingham 2012: 609-24). Instead Bingham argues that the press often challenged the perceptions of nuclear weaponry, especially following the mass coverage that America’s Castle Bravo test in March 1954. Presentations of the bomb are vital to this period as mass movements, which in the 21st century can mobilise upwards of 1,000,000 and are readily dismissed by governments, who praise themselves for facilitating protest, had yet to manifest themselves. 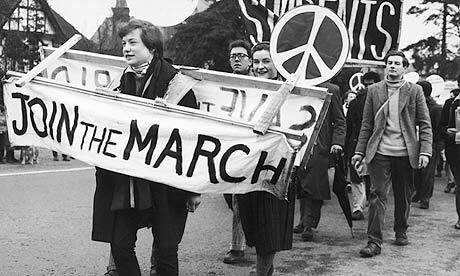 When the CND mobilised at least 60,000 for the 1960 march, the Daily Mirror described it as the largest mobilisation since V.E. day (19 April 1960: 6). WELCOME, Dear Bomb. Welcome and bless you. Bless those who made you. Bless those who set you roaring and flaming and vaporising the face of the earth. Bless the hellish heat of you. Bless the bursting heart of you (29 March 1954: 7). I have read in the paper about the horror bomb. I am 12 years old and I have three brothers and two sisters younger than me, and I love the children of the world. I have seen on the television about the people who are suffering from the bomb. Please don’t let us have war (13 April 1954:4). Following increasing apocalyptic unease Coventry City’s Labour Council made an announcement which became a national concern – they refused to fulfil their Civil Defence requirement. The announcement was made on 5 April 1954 and became an international issue. Coventry Council’s leader, Sidney Stringer, received letters from as far away as New Zealand and from an American Congressman. Domestically the council were both supported and derided. Much of the support maintained a patriotic approach and I intend to analyse this aspect of the incident in a future journal article. Stringer received supportive letters from people who declared their patriotism. Much of the ensuing debate, which emerged in the press, focussed on the city’s wartime myth as a blitzed city and supporters suggested that Coventry’s experience of destruction placed it in a key position to take a sensible approach. Moreover, Civil Defence recruiters had often encountered resistance from people, who Matthew Grant identifies, as declaring they ‘had enough in the last war (Grant 2011: 52-78). War precautions and nuclear weapons, therefore, were not entirely popular with the British population during the 1950s. In a forthcoming article in Media History I have argued that the USSR launch of Sputnik in October 1957 caused some anxiety of nuclear war. The launch and the almost simultaneous fire at the Calder Hall nuclear plant prompted the disarmers, who Jodi Burkett describes as emerging from a radical liberal tradition, to act (Burkett 2010: 184-205). They included several figures who were long-term critics of both nuclear weapons and communism: Bertrand Russell, the Daily Mirror cartoonist Vicky, and a former wartime MP and media commentator, Sir Stephen King-Hall. These three, amongst others, had long records of speaking out about nuclear armaments and also criticised communism, reaching large audiences with their arguments. They helped to inform the anti-nuclear debate long before the CND formed and produced an ideological hegemony that was both non-communist and anti-nuclear. Media coverage of the CND’s early marches is interesting. Whilst no newspapers supported unilateralism, both the Daily Mirror and Daily Herald praised the CND marchers for doing something (Mirror 8 April 1958: 2; Herald 7 April 1958: 2). The Daily Mail described mass mobilisations as ‘un-english’, but they also depicted the first march as a kind of middle England fight-back against fear (7 April 1958: 4). The liberal News Chronicle initially suggested the disarmers were largely Communist. They were forced to backpeddle, however, when they received a barrage of complaints from their readership (7 April 1958: 1, 5, 9 April 1958: 4). Having initially mocked and opposed the marchers, within three years, even the Tory Daily Sketch declared, ‘Though some may scorn the marchers’ methods, few of us in our hearts deny the common sense of their minds’ (19 April 1960: 20). The word ‘peace’ had been seemingly besmirched by the World Peace Council’s Communist dominance. Nevertheless, the press were not universally hostile to the early CND. Their readerships would not have tolerated absolute opposition to universal disarmament. Whilst I don’t accept that unilateralism was massively popular, many in Britain feared nuclear weapons and wanted bilateral disarmament. Before the organisation of CND by socialists and radical liberals, organised opposition to nuclear weapons was patchy but it was far from limited to the CPGB, despite many peoples’ tainting of the movement with the communist tag. Disarmament was a popular position within the Labour Party’s rank and file and amongst Britain’s broader ‘apolitical’ society. So it was significant that Labour felt it important to clearly state their position on immigration and nationality issues, which had been altered under the Thatcher government with the British Nationality Act 1981. I thought it would an interesting exercise to highlight what Labour said on these issues in 1983 and briefly analyse what was being proposed. In particular, I am interested in contrasting what they promised in 1983 with their track record on immigration issues while they were in power between 1974 and 1979. 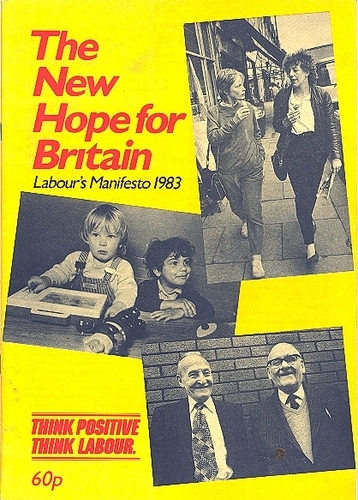 I understand that the 1983 manifesto represents a significant shift in the policies of the Labour Party and that many saw it as a symbolic turn from the Wilson/Callaghan years, but four years out of power and a manifesto full of promises could not override the actions of the government while Labour were in power. The Immigration Act 1971 was introduced by the Heath Government. Labour had promised to repeal the Act in the 1974 election campaigns, but did not do so when they won government in October 1974. In many ways, it was more severely enforced under Labour, who, even then, were worried about looking ‘weak’ on the issue of immigration. 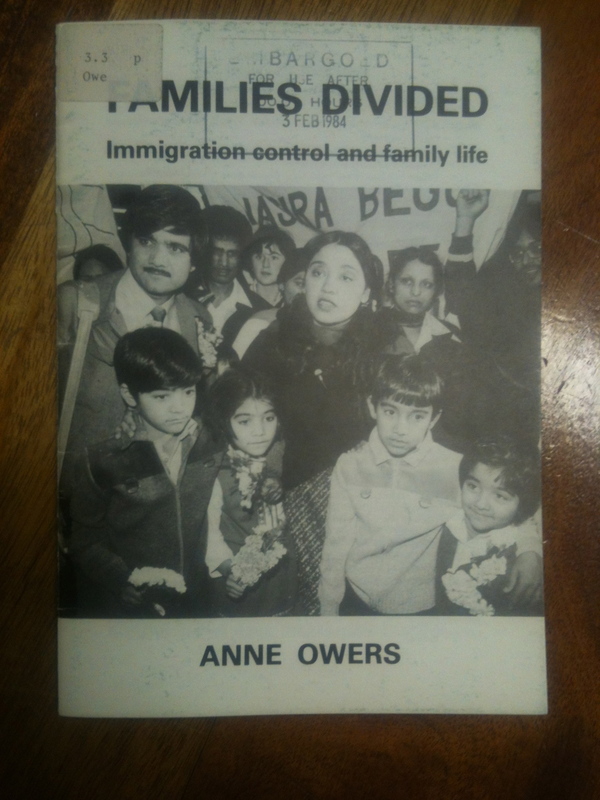 It is true that under the Conservatives, there were many divided families as a result of British immigration laws (as the Anwar Ditta case shows), but this started much earlier than 1979. Immigrant groups, such as the Joint Council for the Welfare of Immigrants and the Runnymede Trust, produced several reports that demonstrated that throughout the 1970s, families (particularly those from South Asia, who made up the majority of permanent migrants in the 1970s and early 1980s) had to go through an arduous journey of applications, interviews and background checks in the hope of joining family members already residing in the UK. For those who were successful, an average waiting time was about 18 months for entry clearances to be granted, but a significant number were denied entry into the country. A 1978 report by the Runnymede Trust also stated that of those rejected, most were indeed ‘genuine’ applicants, but fell foul of the bureaucratic immigration control system for a variety of insignificant reasons (of the 55 cases analysed by the Trust, only one was found to be ‘bogus’). More on this can be found in this paper. We have found from our research into Foreign and Commonwealth Office papers at the National Archives that despite any public pronouncements made about ‘simplifying’ immigration procedures, the government were unwilling to commit further financial resources to reduce the waiting times of those applying to enter the UK and maintained that strict bureaucratic measures were required to detect ‘bogus’ migrants. The mention of x-rays (as well as the age limits of children) relates to the practice employed by the immigration control system of using wrist x-rays to determine the age of teenage children applying to migrate to the UK. The publicisation of the practice in 1979 led to an inquiry by the Chief Medical Officer, Sir Henry Yellowlees, being conducted on the medical examination of immigrants. A report produced by Yellowlees in 1980 argued that this practice should be continued, but in early 1982, Yellowlees reversed his previous decision and Willie Whitelaw announced that x-rays would no longer be used for the determination of age. 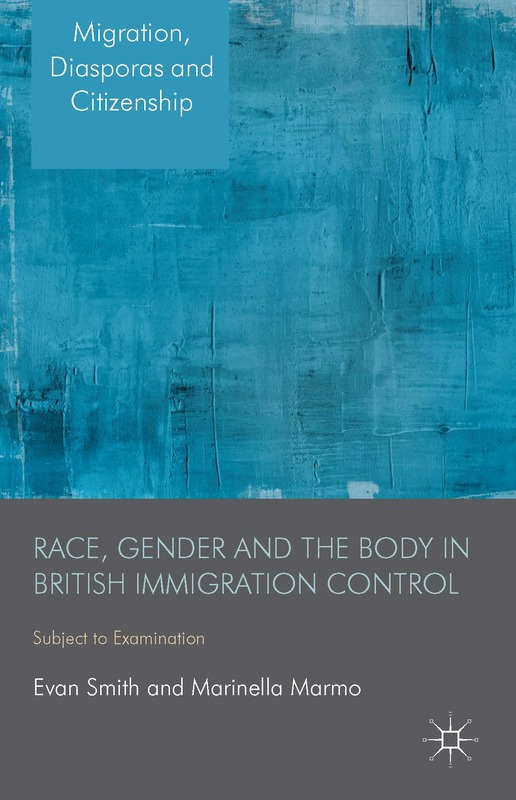 Although the immigration rules and practices under Labour did discriminate against female migrants (see an outline of our work on this topic here), this discrimination was strengthened under the Tories in 1981. But it is also worth noting that Labour considered a proposal to put a quota on dependents (i.e. wives/fiancees and children) seeking to join family members already residing the UK while in power in the 1970s (even though it was eventually rejected as a costly and discriminatory proposal). Also based on the abhorrent practices undertaken by the immigration control system under Labour, it is interesting to see Labour promised to ‘fully respect the human rights of those seeking entry’. The 1983 manifesto might have been a step forward for Labour, but the memory of Labour’s record on immigration while in power would have been hard to erase, particularly for those who were victims of the discriminatory practices that occurred during the 1970s. Whether they would have had the conviction to implement these promises is a moot point, but the promises made in 1983 were probably the most progressive made by the Labour Party since the introduction of immigration controls in 1962 and would be in stark contrast to what Labour proposes today. Andrew Zammit, at his newly retitled blog The Murphy Raid, recently posted a brief history of counter-terrorism in Australia and argued that understanding this history was important for understanding contemporary counter-terrorist practices and approaches. A significant part of this history is the reaction of the Australian government (and the security services) to the threat of nationalist/anti-Communist terrorism, principally driven by the Ustashe, a far right Croatian organisation that aimed to bring down Tito’s Yugoslavia. This involved attacks on Yugoslav and USSR embassies and consulates in Australia during the 1960s and 1970s. The provisions of this Part are intended to assist in giving effect, on the part of Australia, to the special duty imposed by international law on a state that receives a diplomatic or special mission, or consents to the establishment of a consular post, to take appropriate steps to protect the premises of the mission or post against intrusion or damage, to prevent any attack on the persons, freedom or dignity of the personnel of the mission or post and to prevent disturbance of the peace, or impairment of the dignity, of the mission or post. This part of the Bill was included as the government believed that anti-war and anti-Apartheid demonstrators were deliberately targeting the embassies of the United States, South Vietnam and South Africa. It seems that under the Gorton-McMahon governments, the primary concern was potential violence stemming from the left, such as the anti-Vietnam War and anti-Apartheid movements. Only under Whitlam is there any real assessment of the threat posed by Croatian nationalists and other anti-Communists in Australia. Andrew was kind enough to reply to my comments and answered them at length in another post, with some great references to other research done in this area. I encourage you all to visit Andrew’s blog and follow the discussion. Before CND (that is, up to 1958), the CP and the British Peace Council (a CP front) were almost alone, apart from the Quakers and other radical church people, in campaigning for peace and disarmament including nuclear disarmament. From the late 1940s onwards (two years before the Soviets had developed the A-bomb) the Party campaigned for the total worldwide abolition of nuclear weapons. It never promoted the idea of a ‘people’s bomb’. There were some differences in the peace movement between those advocating multilateralism (the campaign to rid the world of all nuclear weapons by negotiation) and unilateralism (banning the bomb in Britain alone). But this was resolved in 1960 when the CP recognised, following the US Pentagon’s scuppering of Summit Talks, that total abolition was not on the agenda of the Western nuclear powers and would not be for the foreseeable future. At the same time CND accepted that, prior to 1960, its campaigning activities were too narrowly based and accepted that multilateral objectives such as the disbanding of NATO and a Test Ban treaty were essential complements to unilateral disarmament by Britain. 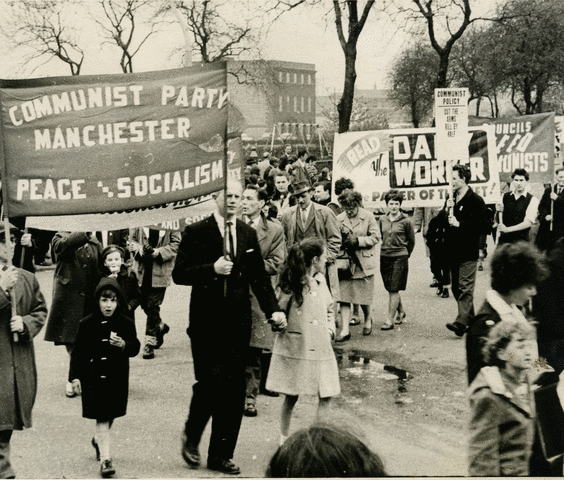 In a series of exchanges between Seifert and Sibley, Peter Waterman and Ian Birchall on the London Socialist Historians Group blog, the debate about whether the CPGB supported the CND in its early years was more in-depth. Seifert and Sibley produced quotes from the Daily Worker, which seems to contradict the consensus formed by earlier scholars. So what did these earlier scholars say exactly? [T]he Communist Party announced itself converted to unilateralism in May 1960. Until then, in pursuit if the party line that unilateralism destroyed unity and split the ‘peace forces’, militants like Abe Moffat were to be found speaking in favour of the official reight-wing TIC/Labour Party line against a CND resolution moved by Bert Wynn of the Derbyshire miners. The 1958 Labour Party unilateralist resolution from the Fire Brigade Union was also crushingly defeated by Communist Party administered block votes. Communists had played little part in sustaining the first anti-nuclear protests. *A footnote was here: Indeed the Communist Daily Worker attacked rather than supported CND policy in its first years. The party had been initially opposed to CND. In the first place it had seen the new movement as a distraction from what was really important, namely disarmament negotiations between the Great Powers… The second reason for the party’s suspicion was that the Campaign was seen as a potential rival to its own front peace organisation, the British Peace Committee, and its youth equivalent, the Youth Peace Committee…. 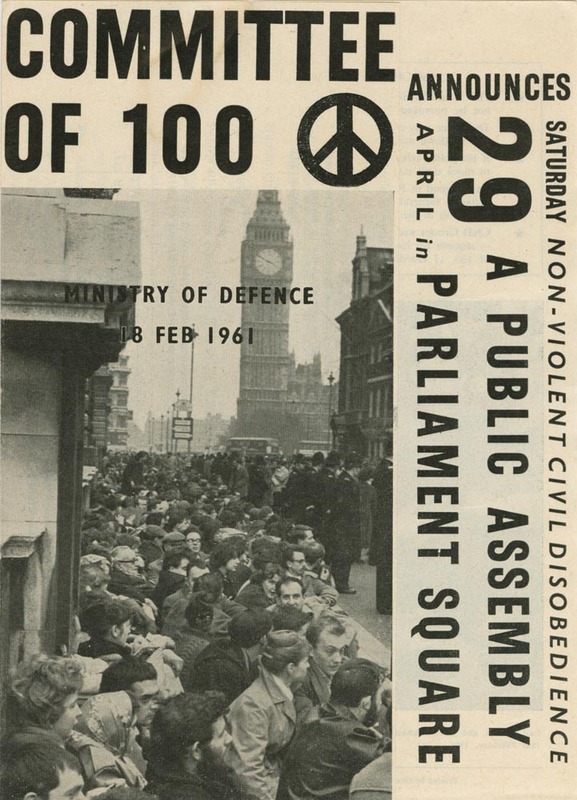 At Easter  a demonstration of around 4,000 rallied in Trafalgar Square at the end of the first CND march from Aldermaston… Communists (especially YCLers) undoubtedly participated as individuals in the following year’s demonstration. But it was not until 1960 that the Party leadership changed its mind and formally supported the Easter march. [A]fter initially opposing the unilateralism of the Campaign for Nuclear Disarmament (CND) when it was formed in 1958, the party had thrown its weight behind it from 1960. While the Communist Party remained opposed to unilateralism until 1960, on the grounds of pro-Soviet loyalty, YCL members were quick to endorse the movement, in some cases holding dual membership in Young CND and the YCL. 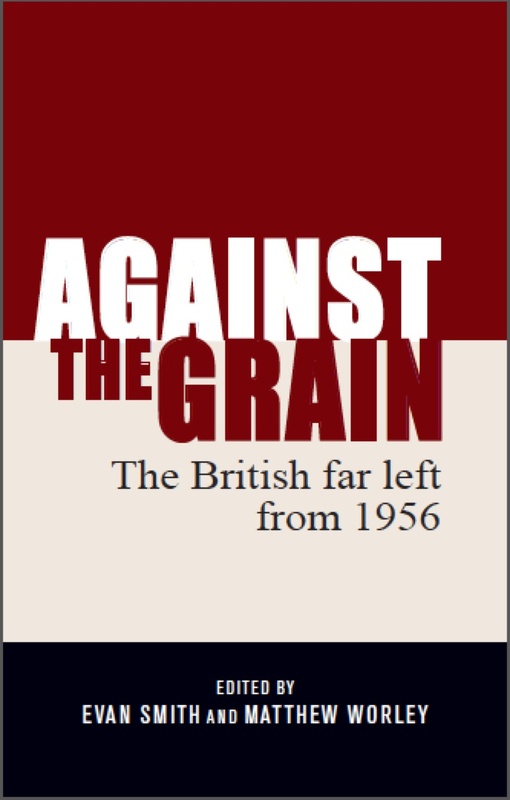 So from the literature before Seifert and Sibley’s book was published, the consensus seemed well formed that the CPGB were ‘late to the party’ regarding CND. Following discussion on the LSHG blog and then on Socialist Unity, I thought I’d look at the CPGB archival papers to see whether the Party had any internal discussions about the CND (and unilateralism more widely) to compare with the quotes found in the Party press by Seifert and Sibley. Using the microfilmed papers of the CPGB archive (originals held at the Labour History Archive and Study Centre in Manchester), I looked at the papers of the Executive Committee from December 1957 to July 1959 and the Political Committee from December 1957 to September 1959. The Communist Party pledges its support to the efforts of all peace organisations, the meetings of the Nuclear Committee, the conference and the work of the B.P.C., the coming World Peace Congress. Appeal to the Peace movement to unite, unilateralists and non-unilateralists, in a supreme effort to this end. [disengagement between NATO and the Soviet bloc in Europe] Unity of the peace movement and the Labour movement for these aims. Instead of placing Labour at the head of a great movement to secure the international banning of nuclear weapons, they have concentrated their fire against those advocating unilateralism and have utilised this issue to divide the peace forces. The immediate aims of the peace struggle should be to end tests for all time and achieve a measure of disengagement in Europe. Victory on these issues could pave the way for a more lasting settlement. Congress therefore appeals to all sections of the peace movement in Britain, unilateralists and non-unilateralists, to unite in a supreme effort to this end. It appeals for the unity of the peace movement and the Labour movement for these aims. It calls upon the Communist Party to support all peace activity and increase its own peace activity on these lines. (v) Isn’t it more important to get the Labour movement to act for peace than to spend time with the peace organisations? (vi) Do we still believe peace is the central issue? Its weakness has been that its leaders have held themselves aloof from the organised Labour movement, have often taken up a ‘anti-political-party’ attitude, have tried to impose bans and proscriptions, and have emphasised the issue of unilateral nuclear disarmament in a way which has tended to divide rather than unite the forces for peace. There are many signs that these questions are being discussed by supports of the Campaign, in an effort to overcome the weaknesses which have been shown in its work in the recent period. Our Party and the Daily Worker have always given the fullest support and publicity to all advocates of the Campaign, and will continue to do so, while criticising the questions of policy and tactics where we think it necessary in the interests of the peace movement as a whole. We have given our full support to the Aldermaston March which is taking place this week-end, and we hope that it will be an even greater success and have wider repercussions than its predecessor last year. But while supporting the C.N.D. and all other organisations fighting for peace, we are also aware that the interests of peace require an organisation like the British Peace Committee, which because of its policy and constitution, fulfils a role which none of the other organisations can. It is an organisation trying to conduct continuous activity for peace, on all the major international issues, and not engaging in only spasmodic campaigning on particular questions. It is all-embracing, imposing no bans and proscriptions, and inviting all who want peace to join its activities. For these reasons we believe that the British Peace Committee deserves special consideration and help from all who want peace. What I haven’t been able to find the archival papers is the turn-out of the 29 June BPC demonstration. I am wondering whether one of the reasons that the CPGB got fully behind the CND in 1960 is that it may have been obvious that the BPC was losing momentum to the CND. I need to investigate whether there has been any research done on the BPC. So why is the CND important in the history of the CPGB and the wider British far left? The CND, unlike previous single issue campaigns, could possibly be described as the first proper ‘social movement’ in Britain, which brought together people from various political backgrounds and classes to engage in political activism, that mixed traditional forms of protest, such as the Aldermaston march, with subcultural activities, such as folk and pop concerts, which attracted otherwise non-political youth. The CND simultaneously drew together people from the Labour Party, the new left, the Communist Party, and the various Trotskyist groups, as well as Christian peace activists and other progressives, which introduced the young people who became involved to a variety of different political ideas. As Celia Hughes wrote in her PhD thesis, the CND was an entry point for many young activists of the 1960s and 1970s into the world of politics: ‘the first radical social, cultural and political space in which socially-aware youngsters could invest an uncertain teenage identity; at odds with the conservative customs of home, school, and official state institutions’ (p. 96). 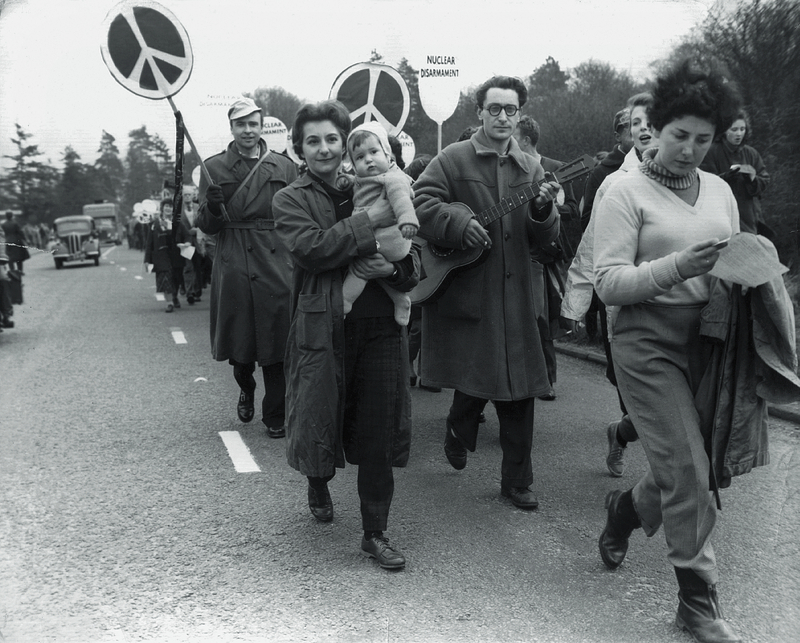 The large number of young people on the Aldermaston march and the overwhelmingly youthful composition of the march after the May 20th Lobby organized by the Nuclear Disarmament people, has been widely commented on. Young workers, though not in sufficient numbers, were involved in our Party demonstration on March 1st and again on June 29th. If young people, often students, clerical , and even young professional people, can be so inspired by a peace movement, will not a bold, clear and decisive lead for peace win a colossal response from the young workers? In spite of all the good discussions, decisions and intentions, the membership of the League is half what it was six years ago and there is still little attention being paid to winning youth on the part of the Party as a whole. Although over 200 recruits have been made to the League since April this year, this is not enough to replace losses and represents a rate of recruitment far below that which is possible. The first divisions between the CPGB and the post-war YCL had been over the ‘socialist humanism’ of the New Left and the appeal of the Campaign for Nuclear Disarmament… The CND brought together activists from varying political backgrounds, combining direct action politics with popular music and other artistic endeavors, which greatly informed politically informed youth in Britain over the next decade… The YCL was inspired by the CND, but the CPGB was reluctant to support the campaign… and the disunity over this support fuelled divisions within the League and he Party over the coming years. So the story of the interaction between the Communist Party, the peace movement, the CND and British youth in the late 1950s and early 1960s is a complex one, and one that needs more research. Hopefully this post will help foster further discussion and possibly even some new research! I am currently writing a paper on the efforts of the Foreign and Commonwealth Office to use the border control system to counter Middle Eastern and North African terrorism in the UK in the 1970s and early 1980s, as part of this project. The focus of the FCO is on two forms of terrorism from these regions – Palestinian liberationist terrorism and ‘state terrorism’ . ‘State terrorism’ was defined in an internal FCO report from 1980 (as part of the NA file FCO 50/685) as ‘the use of deliberate terror by the organs of national governments to punish their dissidents or to pursue disputes with other governments or organisations’. The FCO saw Libya, Iraq and Iran as ‘the most prominent offenders’, but also mentioned Syria, Yemen and Bulgaria as states that have resorted to violence within the UK. You invited me at question time on Wednesday, to write to you about my fears that the Israelis may make an assassination attempt in London. I think this is a serious possibility, calling for action from the government. You will be aware of the background, including Golda Meir’s statements on 15th and 16th October that “The terrorists must from now on know that they are not safe anywhere” and “We have no alternative solution but to strike at the terroriist organisations wherever we can locate them”. The same threats were repeated by the Israeli Chief of Staff, David Elazar, on Tuesday. Since then we have had ten assassinations, or attempted assassinations, of people considered by the Israelis – often mistakenly – to be “terrorists”. I am particularly concerned about the danger to Mr. Said Hammami, the PLO representative in London… There is no evidence that he is linked with terrorist activities – (if there were, of course, you would have rightly refused him a visa). But this does not remove the danger, since the Israelis are assassinating political organisers and propagandists as well as terrorists. They have already killed three of Hammami’s opposite numbers in foreign capitals – Wael Zuaiter in Rome in October, Mahmoud Hamchari in Paris in December, and Husse Rizk in Nicosia in January. They have also attacked and seriously hurt Anis Sayegh in Beirut, who was Mr. Hammami’s contact for political and propaganda research. It is simply not sensible to ignore the possibility that they may now try to kill Mr. Hammami. I know that the Special Branch are already giving protection to Mr. Hammami, and I do not question its effectiveness – I have no means of judging. The request I made in the House – which I now repeat – is simply that the government should warn the Israeli government in appropriate terms of the consequences which would follow if they commit in London the outrages they have committed in other capitals. I hope you can assure me that this will be done. From my notes, I don’t believe the file includes a response from Balniel. However we know that the Israelis didn’t assassinate Hammami, but also know that the UK government failed to protect Hammami. in 1978, he was killed by members of the Abu Nidal group, a breakaway ‘rejectionist’ Palestinian group that believed that no conciliation could be made with Israel and that Hammami, who encouraged dialogue between the PLO and Israel, was considered a ‘traitor’. The National Archives have this file (FCO 93/1559) on the assassination. If I have time on my next trip to London, I will endeavour to see what is in this file. This is the only file that I have come across that raises the question of whether Israel could be considered a country involved in ‘state terrorism’, with most of the discussion within the FCO concentrating on Libya, Iraq and Iran. By 1980, there are proposals to counter ‘state terrorism’ by imposing more stringent immigration control checks on people coming from the Middle East and North Africa. Nowhere in any of the documents that I have looked at is there any discussion of further immigration restrictions on Israeli nationals, even though it was known that Israeli nationals did carry out attacks on their ‘enemies’ within third-party countries, such as Western Europe. It may be because Israel was seen as different to the other Middle Eastern nations by the UK government, but it is odd that even this likely scenario isn’t mentioned in the archival documents. My review of Revolutionary Communist at Work: A Political Biography of Bert Ramelson by Roger Seifert and Tom Sibley has just been posted online at the IHR’s Reviews in History site here. Ramelson was the Communist Party of Great Britain’s Industrial Organiser in the late 1960s and early 1970s as the trade union movement underwent a massive campaign of industrial militancy. The role of the CPGB within the movement at this time has been highly debated ever since. Seifert and Sibley’s book is an attempt to reassess the industrial strategy of the CPGB, through the lens of the life of Ramelson who has become a controversial figure in the historiography of the Party. This biography oscillates between some very good historical details of Ramelson’s role in the Communist Party between the 1940s and the 1980s and some very grandiose rhetorical flourishes about the importance of the class struggle and the revolutionary outlook of the CPGB. 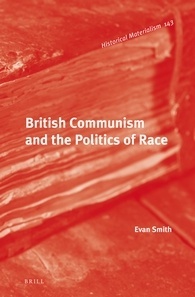 Its use of Ramelson’s personal papers, interviews with leading CPGB activists and other primary source materials makes it definitely worth reading for those interested in the history of the Communist Party, and modern British labour history more generally, but some readers may be frustrated by the particular language used, as well as some of the claims made, by the authors. The great thing about Reviews in History is that it offers the opportunity for the authors to reply to the review and below my review, you can read the response by Seifert and Sibley. It is fair to say that we disagree over a number of things. Readers might also be in reading a debate between Ian Birchall, Peter Waterman and Seifert and Sibley over at the blog of the London Socialist Historians Group here, here, here, here, here, here and here. Is this a turning point for the British far left? 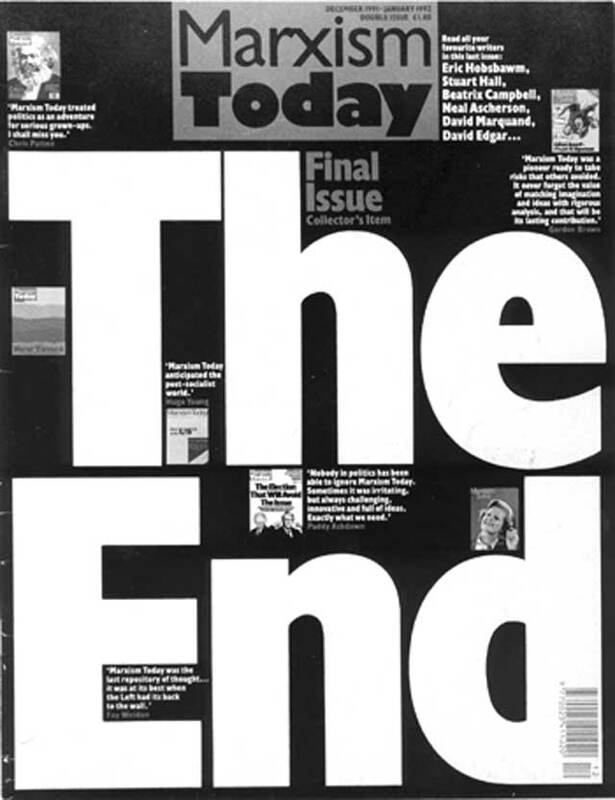 The final Marxism Today in 1991 – will 2013 mark the end of the ISJ? The Socialist Workers Party’s ‘special conference’ convened last Sunday and the reports that have filtered out over the internet is that the leadership were able to withstand the oppositional factions and a vote of confidence in the Central Committee was passed. Various dissections of this can be found at A Very Public Sociologist, Socialist Unity and the CPGB/Weekly Worker. * In a previous post, I asked rhetorically whether this was the SWP’s 1956 moment (which was then highly debated here), but in the aftermath of this week’s events, many commentators are now declaring the death knell of the SWP. As a historian, I would not be so confident that this is the end of the SWP, although at this moment, the challenges facing the Party make it seem difficult to comprehend how it could survive. So is this a turning point for the British far left? The SWP may not be the size of or as influential as the Communist Party of Great Britain in the 1950s, when the CPGB underwent its massive rupture, (or more controversially, even in the early 1990s, when the CPGB dissolved itself), but up until now, the SWP would arguably be the largest and most prominent far left party in Britain. If the SWP does collapse, its absence will have an effect – although at this stage, it is hard to know what this effect will be. What has characterised the SWP since 2007 has been a series of splits, occurring from expulsions and resignations, over the issue of the direction of the Party and the Party leadership’s use of the principles of democratic centralism. [and, of course, in the most recent controversy, how the Party has dealt with several alleged sexual assaults involving Party members] Like the CPGB in 1956, the SWP has lost a significant number of people, including some very high-profile members, but this has been staggered over a five year period. Unlike the Socialist Labour League, who benefitted greatly from defections from the Communist Party, each wave of members leaving the SWP has flowed into different smaller groups and it is unlikely that one organisation can say that they have benefitted membership-wise from the decline of the SWP. The Socialist Party remains the second largest far left organisation in Britain and has established itself to a certain degree within the trade union movement, but it has not made much advance on its position since the economic crisis of 2008 or taken advantage of the crises in the SWP. Many commentators have pointed to the last few years as an era of revolutionary potential. The global financial crisis had seen a failure of neo-liberal capitalism and many had taken to the streets in the UK in opposition to the austerity measures of the Conservative-Liberal Democrat coalition, not to mention the widespread anger at ‘the system’ displayed by the riots that broke out across Britain in August 2011. The revolutions across the Arab world, as well as the Occupy movement, showed that people around the world were willing to challenge the status quo and these acts of rebellion from across the globe have inspired similar actions in the UK. While in many ways, this wave of political activism may seem similar to the anti-globalisation protests of the late 1990s and early 2000s, it seems that the current wave is more sustained and localised, rather than people travelling from far away to certain cities where dignitaries have gathered, making the protest a spectacle of confrontation between the police and protestors for a few days before everyone leaves. However like the protests of the last decade, the far left in Britain has only been able to react to this wave of protest and not establish itself in any kind of leadership position. The Occupy movement in the UK, primarily in London outside St Paul’s Cathedral, was a space where the left had to tread carefully and many were wary about ‘Trots’ coming into the movement with notions of vanguardism. The left have certainly had a presence at the large demonstrations called against pension cuts and student fees, but mobilisation on a mass scale has relied on institutions such as the TUC and the NUS, rather than the clarion calls of the left. The history of the far left in Britain has shown that periods like this do not necessarily mean the decline of the far left, but the initiative often shifts to different groups and different areas of struggle. One of the constant features of the British far left is that it has oscillated between periods of unbridled enthusiasm and periods of profound pessimism and both have been seen in the left’s analysis of the current socio-economic and political climate. If the history of the far left is to be a guide, then both of these predictions are wrong, and while the organisations and movements may change, the far left in Britain is certain to remain a feature of British politics. 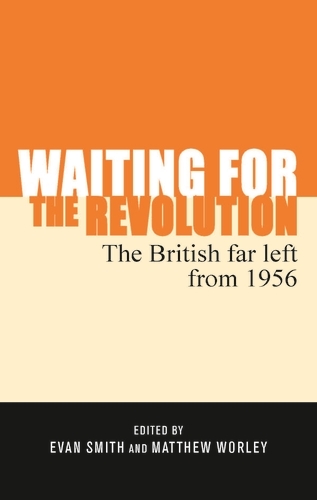 Matt Worley and I are currently editing a book on the history of the British far left (although the book, due to writing constraints, does not include discussion of events past 2011), and I think, the question for future historians of the far left in Britain will definitely be whether 2013 will mark a turning point for the British left in the same way that 1956, 1968 or 1989/1991 has. Or is this merely the end of a longer decline? (And for historians more generally – is there such a thing as a turning point?) Is it too soon to analyse the recent history of the SWP? *Edited on Tuesday to add: Richard Seymour has announced his resignation here and is joined by China Mielville and around 70 others here. ps – on the topic of turning points for the British far left, I have argued elsewhere that 1989 may not be the turning point that it is often thought to be. Emily Robinson has a slightly different take on this here.